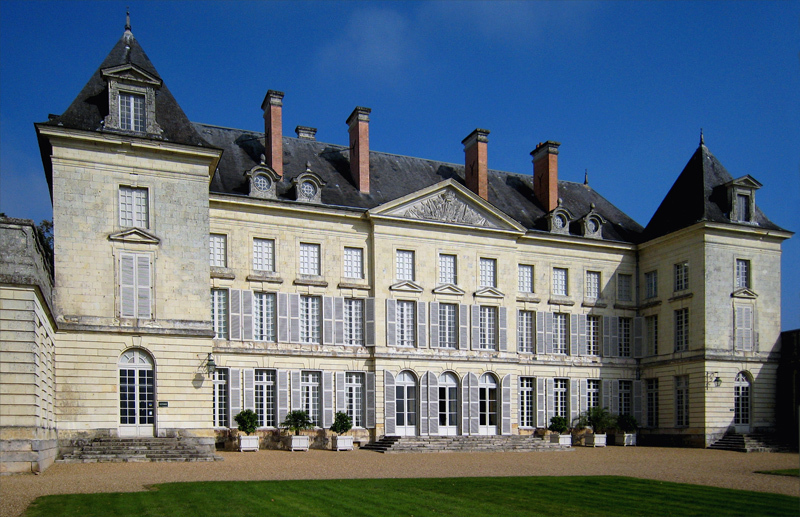 Chateau de Montgeoffroy is located in the Loire Valley and dates to the 1770s when it was built for Marquis de Contades. The oval dining room was the first of its sort to be built in France and signaled a shift away from the mainstream preference of the French to dine in their salons. Notice the width of the Louis XV chair seats - these were designed to accommodate ladies' skirts, which were quite large at the time. It is speculated that this table may have been the first at which pâté de foie gras was served as the delicacy was invented by the Marquis' chef. I'm not particularly enamored with pâté de foie gras but this room is another story altogether. Top image from Interiors by Min Hogg. Exterior images by Manfred Heyde.